These heavy gauge spark resistant Aluminum Gas Cylinder Cabinets provide significant advantages over conventional painted steel models. Designed for outdoor storage, all aluminum cabinets will resist weathering and won't corrode or discolor. 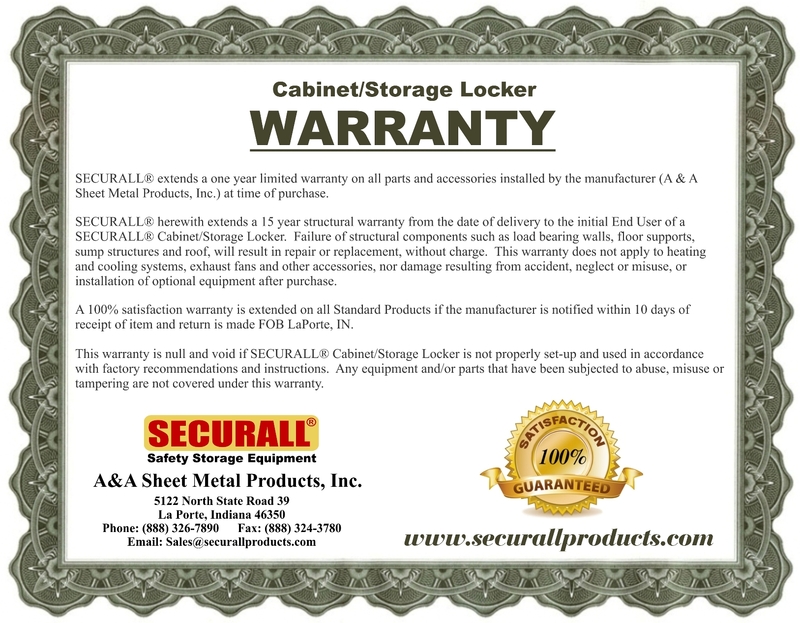 Just 1/3 the weight of painted steel units, Securall Aluminum Cabinet models also offer real savings on shipping charges. All welded .125 Aluminum construction, ready to use, shipped fully assembled. These cabinets will provide years of tamper resistant storage for your LP and Oxygen Gas Cylinders. Meets OSHA SubPart 1910.110 requirements and NFPA 58-113 standards.